Under Construction: Early Photos of the Aaron Brothers. Selma (Rothschild) Adler, 80th birthday. 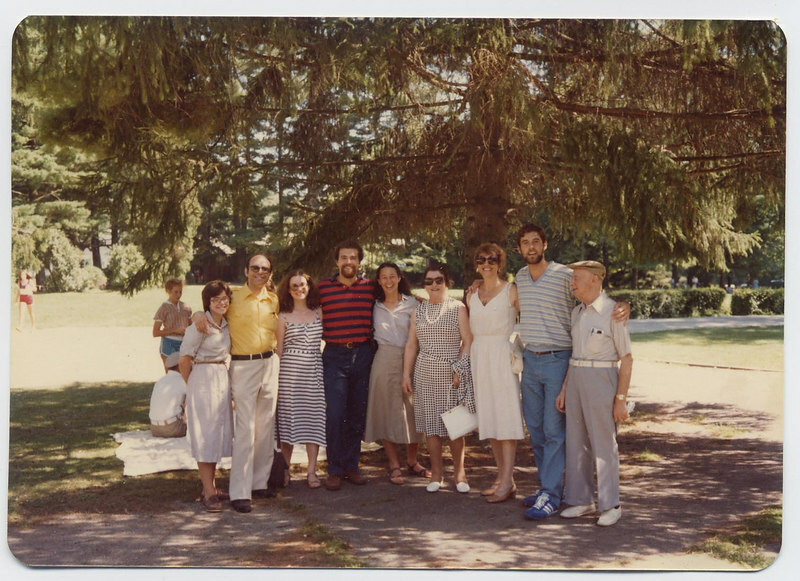 Left to right, Naomi, Sam, Deborah, David, Sandra Kaplan, Oma, Marianne, Richard, Emil Hamburger, in Berkshires 1980 (photo by Ronald Aaron).